I review a lot of sports games, but by far the most difficult one for me are hockey games. It’s the one sport that I can’t get myself to fall in love with. I’ve had friends throughout my life who’ve tried admirably but its never stuck. Even though I don’t have a huge love for the real sport, I’ve always had a deep love for hockey video games. The love started back with Blades of Steel from Konami on the Nintendo Entertainment System and has continued. It’s an interesting time in the entire sports video game landscape. There’s little to no competition within any of the major sport franchises and yet we’re still seeing them put out some pretty spectacular experiences. 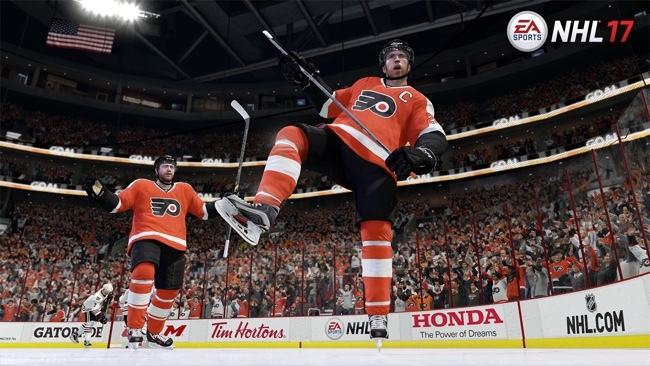 The NHL franchise in particular had a really rough outing with the very limited options of NHL 15, but made up for a lot of that in NHL 16 last year. 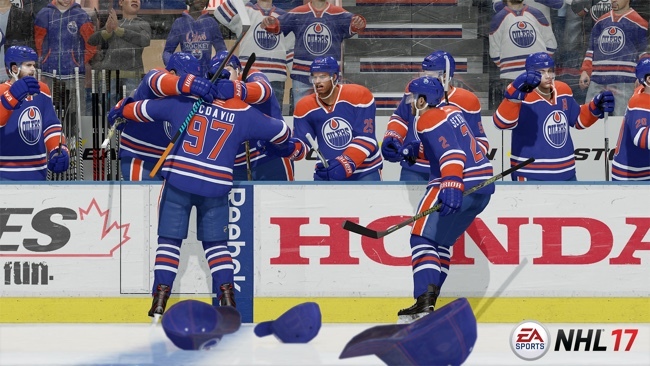 NHL 16 was an all-around great game, cleaning up the action on the ice and adding some really great mode offerings. NHL 17 continues that trend adding one of my favorite modes of any sports game, Draft Champions. The mode is something we saw introduced in Madden NFL 16 and it allows you to go through twelve rounds where you have the option to pick from a couple players each round to make your team. Think of it as a an accelerated fantasy draft. You then take that team online to play against others to see how your team fairs. It’s such a simple inclusion but for me it’s still one of the best mode offerings in sports games today. Even as someone who doesn't know more then a dozen hockey players it actually helped me learn about some of the best past and present players. Outside of Draft Champions, the area I spent the majority of my time in NHL 17 was franchise mode. I’ve never really dug deep in a hockey franchise mode and from a few minutes in there’s no denying the depth EA has placed on NHL 17’s franchise mode. You can have as much or as little involvement in the day-to-day running of a team as you want. Want to set ticket prices? You got it. Want to move your team to a new city? Sure, you can do that to. It’s placed in a very easy to use/understand menu which makes playing through a franchise a lot of fun. I had some pretty bad injuries to my Ducks early on in my franchise and worked out some trades and free agent signings to help improve my team. The systems throughout the franchise mode work exactly how you'd expect. On ice action hasn’t seen a ton of updates since last year’s game. The one noticeable exception to that is the improved AI on the defensive side of the puck. I noticed a major change in the way the AI reacts to you as you get to their side of the ice. The AI is far more aggressive giving you less time to line up a shot and putting more emphasis on you finding opportunities. Goaltending has also been improved with a ton of new animations giving some pretty incredible replays. I streamed a couple of games of NHL 17 and I had on two separate occasions someone tell me that they were impressed with a save from the opponent’s goalie. Otherwise the action on ice remains relatively the same, which is not a bad thing at all. I’m still a big fan of the on-ice assistant that helps suggest actions to take while the game is going. As someone with limited knowledge on hockey strategy, learning the fundamentals using the assistant is incredibly helpful. It’s just subtle enough that it toes the line between being annoying and helpful very nicely. I do think some additional practice/drills could be added to help players like me learn more about getting better at the game. In the end NHL 17 is a really great game of hockey. It’s got a full suite of features and modes that are complimented with excellent on-ice action. I found myself more engrossed in NHL 17 then I’ve been with a hockey game in quite some time. It’s a well-rounded and extremely polished game of hockey that fans of the franchise will be mighty happy with. NHL 2K6 is a good game that improves upon an already great game last year. It has some new features along with some old that really make this one of the best twenty-dollar games of the year. If you want to play some great hockey with a low price tag, then I would highly recommend NHL 2K6 as this is a fun game that has a lot of fun features that will last you till next year.